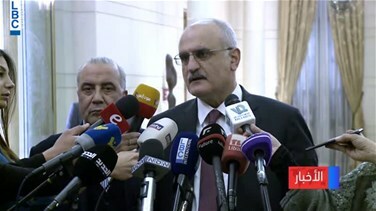 Minister of Finance Ali Hassan Khalil denied on Wednesday that the draft Budget would include salaries cuts. The minister voiced hopes that the citizens would give their judgments in this regard when the state's Budget will be issued. He also stressed that the statements of Foreign Affairs Minister Gebran Bassil in this regard were just a point a view that was discussed.